Several changes have been made to the Magic Kingdom's character meet and greet line-up. 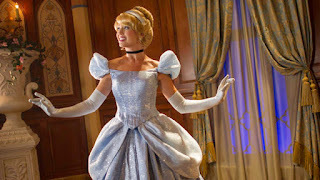 With Anna and Elsa moving to Epcot's Norway Pavilion, Princess Fairytale Hall is now home to Cinderella and Rapunzel (each with a separate line) joined by Princess Tiana and Princess Aurora. Daisy Duck is no longer appearing in Town Square, but can still be found at Pete's Silly Sideshow. Anna and Elsa can still be seen in both Festival of Fantasy Parade and Mickey's Royal Friendship Faire. To round things out, Snow White has moved to the Town Square Courtyard by City Hall. 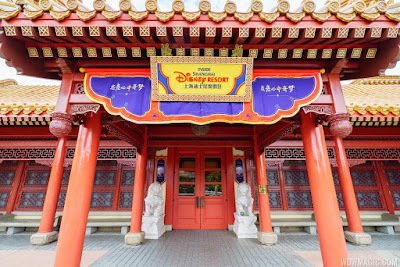 Epcot's China Pavilion is now hosting a new exhibit titled 'Inside Shanghai Disney Resort" which provides a look at Disney’s newest park and shows off some of the details that make it so unique. This display replaces the Tomb Warrior exhibit. Disney's Hollywood Studios launched its new "Star Wars: A Galactic Spectacular" firework show earlier this evening. The new show features multi-channel surround sound, massive projection-mapped movie clips on the Chinese Theater, lasers, lighting, low-level pyrotechnics and fireworks launched from the park's new launch site. The upcoming refurbishment of Dinosaur at Disney's Animal Kingdom has been extended until mid-October. It will still close on July 25th, but will not reopen until October 17th. 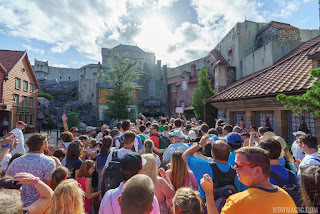 Frozen Ever After ride opened at Epcot's Norway Pavilion June 22nd to mammoth crowds. Wait times hit 3 hours almost immediately after the attraction opened at 9:00 AM. The old queue that was as themed as your average office building hallway has been replaced with a fully themed queue that is on par with queues like Pirates of the Caribbean. While the attraction does use the same ride system as the former Maelstrom, very little else is recognizable. A complete ride through video including much of the queue is available below. 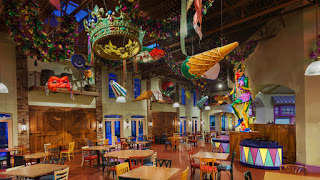 To help with the increased crowds that Frozen Ever After will generate The Gran Fiesta Tour Starring the Three Caballeros at Epcot's Mexico Pavilion will begin offering longer operating hours from June 21. It will now open at 9:00 AM. 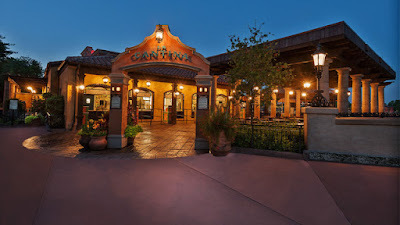 Epcot's La Cantina de San Angel will now be open for breakfast. Two fried eggs, layers of fried corn tortilla, with green tomatillo sauce, topped with queso fresco, onions and sour cream. Scrambled eggs, corn dough filled with pork chorizo, covered with green tomatillo sauce. Bread roll filled with scrambled eggs, chorizo, jack cheese, red onions, lettuce and guacamole. Scrambled eggs topped with cheese, served with potatoes and fruit. Breakfast is available from 9:00 AM to 11:00 AM daily. Beginning June 22nd, you can receive a bonus FastPass+ to ride Pirates of the Caribbean by playing 'A Pirates Adventure - Treasures of the Seven Seas.' All you need to do is to complete at least three of the five missions, and the bonus FastPass+ is yours. The collectable Treasurer Finder Cards are also still awarded for completing each mission. The interactive experience takes around 20 minutes per mission, with the signup located in The Crow's Nest, just beyond Pirates of the Caribbean in Adventureland. 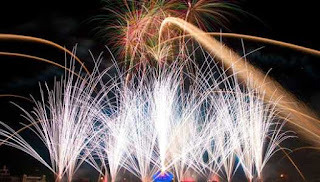 Walt Disney World Resort will be celebrating Independence Day with special firework displays, patriotic character meet and greets, and music concerts on July 3 and July 4, 2016. “Disney’s Celebrate America! A Fourth of July Concert in the Sky” will be performed at 9:00 PM on both July 3 and July 4. 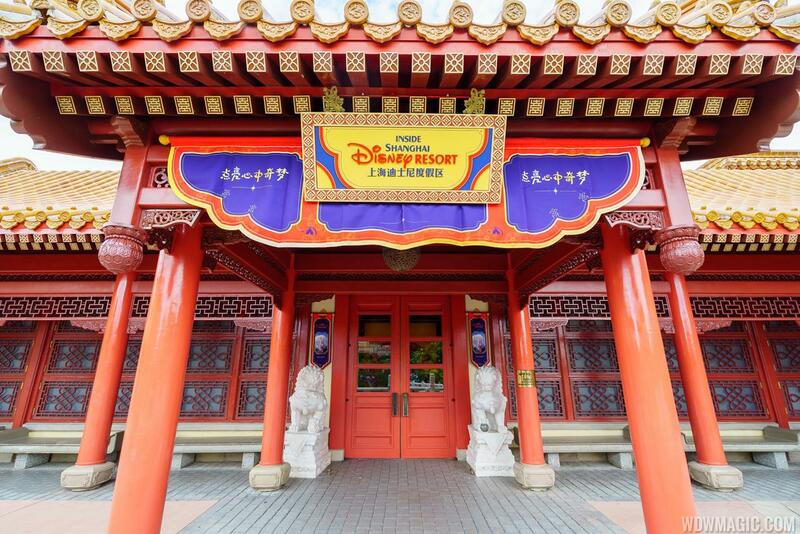 Park hours are July 3 8:00 AM to 1:00 AM, with Extra Magic Hours 1:00 AM to 3:00 AM. July 4 - 8:00 AM to 1:00 AM. “Illuminations: Reflections of Earth” with July 4 finale at 10:00 PM on July 4. Park hours are 9:00 AM to 10: 00P M.
The Voices of Liberty will perform a Fourth of July concert at the America Gardens Theatre at 12:30 PM, 1:45 PM, and 3:00 PM, and in the American Adventure pavilion at 4:15 PM and 5:00 PM. Special patriotic character greetings also are available at various times throughout the day at the American Adventure, along with a another opportunity to catch the Spirit of America Fife & Drum Corps outside at pm, 2:15 PM, 3:30 PM, 4:00 PM and 4:45 PM. The Fife & Drum Corp has not performed since being retired in October 2014. The new "Star Wars: A Galactic Spectacular" show will take place at 9:30 PM. Park hours are 9:00 AM to 9:30 PM. Disney has filed plans for a new attraction at its Typhoon Lagoon Water Park. The new Family Raft Ride is planned to be located near the Crush 'n' Gusher attraction on previously unused land. This will be the first addition to Typhoon Lagoon since Crush n Gusher was added in 2005. Beginning July 17, 2016, reservations will only be available between 11:00 AM and 12:00 PM. For the remainder of the operating day, the restaurant will be open for walk-in guests. The recently opened Jungle Cruise Skipper Canteen had been reserved for walk-up guests, but has since changed to allow advance reservations to be made. It appears that the Plaza will now be taking up the table service dining walk-up role. 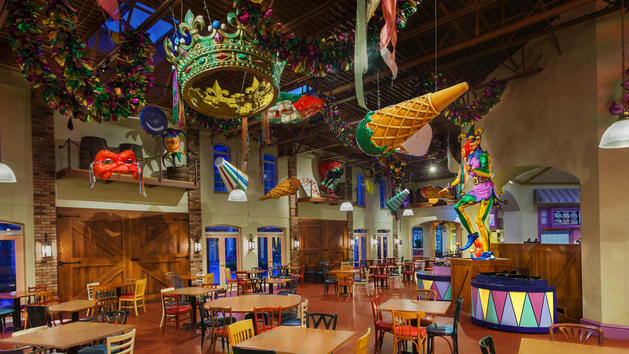 The Sassagoula Floatworks and Food Factory at Disney's Port Orleans Resort French Quarter is closing for a major refurbishment. Beginning July 11, the food court will be closed until the fall, with a reopening date not yet confirmed. A temporary location will be available near the lobby, serving jambalaya, gumbo, po-boy sandwiches, beignets, other hot and cold entrees and a range of grab and go items. 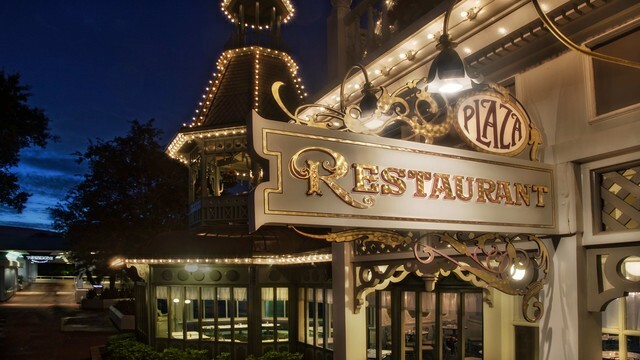 The Disney Dining Plan will be accepted at the temporary location. In-room pizza delivery will continue to be available from 4:00 PM to midnight daily. Bus transportation from 7:00 AM to midnight will also be available to the nearby Mill Food Court and Boatwright's Dining Hall at the Riverside. The Magic Kingdom has updated the guest smoking locations and has reduced the areas of the park where smoking is permitted. Two locations have been removed, the first near the entrance to Adventureland, and the second in Tomorrowland near Space Mountain. There are now only two smoking areas inside the park, one in Storybook Circus along the path to Tomorrowland, and the second in Frontierland across from Big Thunder Mountain Railroad. One additional smoking area has been made available, outside the park near the Ferryboat queue.